El Salvador’s far right is using Trump’s war on migrants for political gain. When Donald Trump took control of the US mass deportation machine, with its private detention networks, racist policing, and militarized borders, he found it well oiled. Obama, the “Deporter In Chief,” managed to forcefully expel more than 3 million people from US territory, more than all his predecessors combined. When the influx of unaccompanied Central American minors drew national attention at the US-Mexico border, Obama outsourced the problem to Mexico, which now deports more Central Americans than the United States. Trump, however, has managed to do plenty of damage of his own, striking down the meager protections that Obama had conceded, and making the demonization of immigrants a cornerstone of his administration’s discourse. His disparagement of Latinos has earned him the status of both laughingstock and cartoon supervillain in households across the hemisphere. Trump’s overt racism has even provoked tensions with Mexico, otherwise a staunch collaborator in the US-led militarization of the region and criminalization of migrants. Salvadorans have been the target of particularly repugnant attacks, with the administration using dehumanizing depictions of scowling, tattooed MS-13 gang members to stigmatize immigrants and justify escalating enforcement. Indeed, for a country the size of Maryland with a population of less than 7 million, El Salvador has borne a disproportionate share of Trump’s anti-immigrant offensive. But not all Salvadorans are suffering for Trump’s attacks. With elections on the horizon, the tiny Central American nation’s notoriously recalcitrant far right is leveraging the crisis for political gain. The Salvadoran right is virulently reactionary, defending the interests of an oligarchy that for a century used the state as an instrument of indiscriminate slaughter and vast personal enrichment. In 2009, the Right was ousted from power for the first time in history by the Farabundo Martí National Liberation Front (FMLN), the party of the former leftist guerilla insurgency, forcing Salvadoran elites into the far less lucrative role of opposition. Throughout its decades in power, the ultraconservative Nationalist Republican Alliance (ARENA) party enjoyed steadfast US support (despite Washington’s full knowledge of its brazen corruption, as leaked embassy cables reveal). ARENA, the principal political instrument of the capitalist class, was a willing servant of US political, military, and economic interests, offering the country as a laboratory for radical neoliberal experiments and unscrupulously repressing dissent. Today, the party hopes to ride the tide of reaction sweeping the hemisphere and retake the presidency in 2019, gaining ground along the way in the upcoming 2018 midterms. And ARENA is looking to the GOP for help. After all, both parties share an affinity for anticommunist bloodlust, free-market fundamentalism, and chauvinistic religious zeal. Republicans have historically proven ARENA’s best campaigners, routinely threatening the collapse of US-El Salvador relations in the event of an FMLN victory. But Trump’s anti-immigrant attacks have not played well in El Salvador, a country with nearly a quarter of its population in the United States, and where remittances from abroad comprise some 16 percent of the GDP. So ARENA switched gears. As the elections approach, the Salvadoran right is now blaming the FMLN for Trump’s war on immigrants, claiming that the US is punishing El Salvador for the FMLN’s support for the embattled Chavista government in Venezuela. Through decades of advocacy and organizing, Salvadoran immigrants won access to a series of protections now suspended or in danger under Trump. 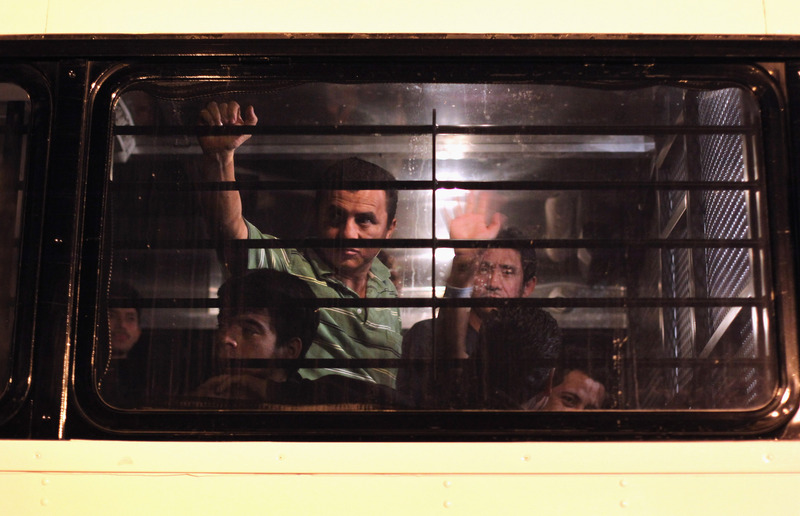 On August 16, the administration terminated the Central American Minors (CAM) Parole program, which allowed children from the Northern Triangle nations of El Salvador, Honduras, and Guatemala with a parent in the US to apply to resettle in the US as refugees or with temporary parole without first making the perilous journey north. The program, initiated by Obama in the fall of 2014 in response to the so-called child migrant crisis at the US-Mexico border, was widely criticized for its limited scope and staggering inefficiencies. After one year in operation, only eleven children had been approved for refugee resettlement. By the CAM program’s close this summer, some 1,500 children had been approved to enter the US as refugees, with another 2,700 conditionally granted parole. Of those beneficiaries, the vast majority, 2,500, were Salvadoran. Another 2,634 Salvadoran applicants were left stranded before their paperwork was finalized. The Department of Homeland Security cited Trump’s January Executive Order on Border Security and Immigration Enforcement. But the Salvadoran right had a different explanation. Things did get worse. On September 5, Trump announced the suspension of the Deferred Action for Childhood Arrival (DACA) program, which at the time provided temporary protections to some 700,000 immigrants who came to the US as minors and could demonstrate their deservedness through stringent respectability requirements. Almost 80 percent of active DACA recipients, 548,000, were born in Mexico; 25,900 were born in El Salvador, 17,700 in Guatemala, and 16,100 in Honduras. It is necessary that US officials perceive an “act of contrition” by Salvadoran authorities regarding their position on the deplorable reality suffered in Venezuela. … The decision to exclude our countrymen from various immigration programs could be accelerated should President Sánchez Cerén continue to support the violation of democratic principles and human rights by his Venezuelan counterpart, Nicolás Maduro. That same day, ARENA party president Mauricio Interiano warned that the government is “putting possible solutions at risk” by maintaining support for Venezuela. But the CAM and DACA programs are small fish compared to the Temporary Protected Status (TPS) that currently shields some 200,000 Salvadorans in the US from deportation. As early as June, the Trump administration was threatening to discontinue the program. In addition to Salvadorans, TPS also protects some 60,000 Hondurans, 50,000 Haitians, and thousands of people from Nepal, Nicaragua, Syria, and Yemen, among other countries, for periods of 18 months at a time. The Department of Homeland Security already dealt a blow to Haitians, extending their TPS for only six more months. TPS for Salvadorans expires on March 9, and the Department of Homeland Security must announce its decision 60 days prior. “I think that the Salvadoran government’s actions are seriously endangering relations with the United States and the Temporary Protected Status of over 190,000 Salvadorans,” declared aspiring ARENA presidential candidate Luis Parada in the pages of El Diario de Hoy on July 1. The remarks came shortly after El Salvador voted against a US-backed resolution to condemn Maduro in the Organization of American States (OAS). “I think that relations not only are not good, but that they will keep getting worse if the Salvadoran government keeps taking antagonistic positions,” said Parada. ARENA’s claims are, of course, absurd. The FMLN has gone to enormous lengths for Salvadorans in the United States. Since taking power in 2009, the FMLN administrations have extended the vote to Salvadorans abroad, established the National Council for the Protection of Migrants and their Families, and expanded consular services in the United States, including opening new consulates in McAllen, Texas and Aurora, Colorado. It is true that ARENA has more friends than the FMLN in Washington. ARENA eagerly submitted the country to imperial power and transnational capital, dollarizing the economy, signing a NAFTA-style free trade agreement with the United States, and opening a US-led police training academy. The FMLN, in turn, has been less willing to cede sovereignty, despite unremitting US pressure. US officials have regularly sought to ransom development aid over Salvadoran support for Venezuela (and any other policy they find distasteful). When President Sánchez Cerén spoke out against Obama’s 2015 designation of Venezuela as a “national security threat,” the US ambassador to El Salvador insinuated that such a position could endanger funding. The Salvadoran government’s repeated defense of Venezuela in the OAS has provoked more open threats from the likes of Florida Senator Marco Rubio. But Mexico is by far the nation most impacted by Trump’s anti-immigrant crackdown, and the Peña Nieto administration has been a leading voice against Venezuela in the OAS. Honduras, another country with hundreds of thousands of vulnerable citizens in the US, is a repressive neoliberal dystopia whose postcoup regime could hardly be accused of socialist sympathies. Nevertheless, in the corporate echo chamber of Salvadoran mass media, ARENA’s shameless distortions are rendered fact. The charges are baseless, but they play on the very real fears of the families of hundreds of thousands of immigrants caught in the crosshairs. And fear is the Right’s most powerful tool at the ballot box. The stakes are high. A decision to discontinue TPS would be a devastating blow to 200,000 Salvadorans, uprooting longtime residents, tearing families apart, and overwhelming the fragile fabric of Salvadoran society. And it could well tip the scales of the upcoming elections, sweeping ARENA back into power and further consolidating the Right’s hold in the region. The Salvadorans looking down the barrel of Trump’s gun are the refugees of decades of US collusion with the same voracious local elites who today claim to defend them. ARENA’s only interest is to recoup state power and resume lining its pockets with public resources. As in the US, the ruling class is playing political games with the lives of the most vulnerable.